After a tumultuous five-year existence, the National Association of Professional Base Ball Players (NA) folded following the 1875 season. 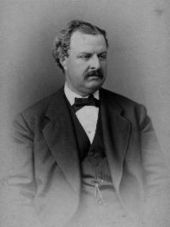 The National League of Professional Base Ball Clubs (NL) was formed in Chicago, Illinois by businessman, and owner of the Chicago White Stockings (now known as, the Chicago Cubs), William Hulbert, for the purpose of replacing the NA, which he believed to have been corrupt, mismanaged, full of rowdy, drunken ballplayers, and under the influence of the gambling community. One of the new rules put into place by the new league was that all teams had to be located in cities that had a population of 75,000 or more. The initial NL season began with eight teams, and they were asked to play seventy games between April 22 and October 21. The NL is considered to be the first "major league", although it has been argued that the NA can make that claim. Four premier semi-professional teams were in play in 1876. They were the Binghamton Crickets, the Columbus Buckeyes, the Pittsburgh Alleghenys and the Syracuse Stars. In competition against NL clubs these 4 semi-pro teams played 32 games – winning 16, losing 14 and tying 2 contests. Of the 60 players on these 4 semi-pro teams no fewer than 50 of them wound up playing in the National League over the next 5 seasons. Chicago White Stockings signed Cap Anson as a free agent. Hartford Dark Blues signed Candy Cummings as a free agent. Boston Red Caps signed George Wright as a free agent. August 10, 1876 – The New York Mutuals loaned Nealy Phelps to the Philadelphia Athletics. Phelps returned to the Mutuals on the same day. Ginsburg, Daniel E. (2004). The Fix Is in: A History of Baseball Gambling and Game Fixing Scandals. McFarland. ISBN 0-7864-1920-2. Reiss, Steven A. (2006) Encyclopedia of Major League Baseball Clubs, Volume 1. Greenwood Publishing Group. ISBN 0-313-32991-5. ^ a b "National League of baseball is founded". history.com. A&E Television Networks. Archived from the original on February 9, 2010. Retrieved December 25, 2009. ^ "League National". baseballlibrary.com. The Idea Logical Company. Archived from the original on December 31, 2008. Retrieved December 25, 2009. ^ "Year in review: 1876 National League". baseball-almanac.com. Archived from the original on January 14, 2010. Retrieved December 25, 2009. ^ "Before They Were Cardinals". google.fi. ^ "1876 National League statistical leaders". retrosheet.org. Retrieved December 25, 2009. ^ a b c d e f g h i j k l m n "Charlton's Baseball Chronology – 1876". baseballlibrary.com. The Idea Logical Company, Inc. Archived from the original on June 4, 2011. Retrieved December 25, 2009. ^ "Al Spalding". retrosheet.org. Retrosheet, Inc. Retrieved December 25, 2009. ^ "The 1876 Boston Red Caps Regular Season Game Log". retrosheet.org. Retrosheet, Inc. Retrieved December 25, 2009. ^ a b c d "The 1876 Chicago White Stockings Regular Season Game Log". retrosheet.org. Retrosheet, Inc. Retrieved December 25, 2009. ^ "The 1876 Cincinnati Red Stockings Regular Season Game Log". retrosheet.org. Retrosheet, Inc. Retrieved December 25, 2009. ^ "The 1876 Hartford Dark Blues". retrosheet.org. Retrosheet, Inc. Retrieved December 25, 2009. ^ "The 1876 New York Mutuals Regular Season Game Log". retrosheet.org. Retrosheet, Inc. Retrieved December 25, 2009. ^ "The 1876 Philadelphia Athletics". retrosheet.org. Retrosheet, Inc. Retrieved December 26, 2009. ^ "The 1876 Louisville Grays Regular Season Game Log". retrosheet.org. Retrosheet, Inc. Retrieved December 26, 2009. ^ a b "The 1876 Philadelphia Athletics Regular Season Game Log". retrosheet.org. Retrosheet, Inc. Retrieved December 26, 2009. ^ "Home Run Famous Firsts". baseball-almanac.com. Hosting 4 Less. Archived from the original on February 2, 2010. Retrieved December 30, 2009. ^ "The 1876 Chicago White Stockings". retrosheet.org. Retrosheet, Inc. Retrieved December 26, 2009. ^ a b "The 1876 St. Louis Brown Stockings Regular Season Game Log". retrosheet.org. Retrosheet, Inc. Retrieved December 26, 2009. ^ "No Hitters Chronologically". retrosheet.org. Retrosheet, Inc. Retrieved December 26, 2009. ^ "Forfeits". retrosheet.org. Retrosheet, Inc. Retrieved December 26, 2009. ^ "Major League Single Season Leaders". retrosheet.org. Retrosheet, Inc. Retrieved December 26, 2009. ^ "William Hulbert". baseballlibrary.com. The Idea Logical Company, Inc. Archived from the original on June 4, 2011. Retrieved December 25, 2009. ^ a b c d "Transactions for 1876". retrosheet.org. Retrieved December 26, 2009. ^ "Joe Kostal". retrosheet.org. Retrosheet, Inc. Retrieved December 28, 2009. ^ "Joe Martin". retrosheet.org. Retrosheet, Inc. Retrieved December 28, 2009. ^ "Elmer Flick". retrosheet.org. Retrosheet, Inc. Retrieved December 28, 2009. ^ "George Browne". retrosheet.org. Retrosheet, Inc. Retrieved December 28, 2009. ^ "Bill Wolff". retrosheet.org. Retrosheet, Inc. Retrieved December 28, 2009. ^ "Warren McLaughlin". retrosheet.org. Retrosheet, Inc. Retrieved December 28, 2009. ^ "Fred Glade". retrosheet.org. Retrosheet, Inc. Retrieved December 28, 2009. ^ "Otis Clymer". retrosheet.org. Retrosheet, Inc. Retrieved December 28, 2009. ^ "Ike Van Zandt". retrosheet.org. Retrosheet, Inc. Retrieved December 28, 2009. ^ "Germany Schaefer". retrosheet.org. Retrosheet, Inc. Retrieved December 28, 2009. ^ "Andy Sommerville". retrosheet.org. Retrosheet, Inc. Retrieved December 28, 2009. ^ "Pat Moran". retrosheet.org. Retrosheet, Inc. Retrieved December 28, 2009. ^ "Doc Sechrist". retrosheet.org. Retrosheet, Inc. Retrieved December 28, 2009. ^ "Fred Buckingham". retrosheet.org. Retrosheet, Inc. Retrieved December 28, 2009. ^ "Fritz Buelow". retrosheet.org. Retrosheet, Inc. Retrieved December 28, 2009. ^ "Carlton Molesworth". retrosheet.org. Retrosheet, Inc. Retrieved December 28, 2009. ^ "Joe Marshall". retrosheet.org. Retrosheet, Inc. Retrieved December 28, 2009. ^ "John Titus". retrosheet.org. Retrosheet, Inc. Retrieved December 28, 2009. ^ "Art Goodwin". retrosheet.org. Retrosheet, Inc. Retrieved December 28, 2009. ^ "Bill Hallman". retrosheet.org. Retrosheet, Inc. Retrieved December 28, 2009. ^ "Daff Gammons". retrosheet.org. Retrosheet, Inc. Retrieved December 28, 2009. ^ "Harry Lochhead". retrosheet.org. Retrosheet, Inc. Retrieved December 28, 2009. ^ "Frank Oberlin". retrosheet.org. Retrosheet, Inc. Retrieved December 28, 2009. ^ "Art Ball". retrosheet.org. Retrosheet, Inc. Retrieved December 28, 2009. ^ "Bill Friel". retrosheet.org. Retrosheet, Inc. Retrieved December 28, 2009. ^ "Bill Dinneen". retrosheet.org. Retrosheet, Inc. Retrieved December 28, 2009. ^ "Charlie Luskey". retrosheet.org. Retrosheet, Inc. Retrieved December 28, 2009. ^ "Frank Murphy". retrosheet.org. Retrosheet, Inc. Retrieved December 28, 2009. ^ "Win Kellum". retrosheet.org. Retrosheet, Inc. Retrieved December 28, 2009. ^ "Vic Willis". retrosheet.org. Retrosheet, Inc. Retrieved December 28, 2009. ^ "Charlie Hemphill". retrosheet.org. Retrosheet, Inc. Retrieved December 28, 2009. ^ "Pat Deisel". retrosheet.org. Retrosheet, Inc. Retrieved December 28, 2009. ^ "Larry Battam". retrosheet.org. Retrosheet, Inc. Retrieved December 28, 2009. ^ "Jack Morrissey". retrosheet.org. Retrosheet, Inc. Retrieved December 28, 2009. ^ "Charlie Hickman". retrosheet.org. Retrosheet, Inc. Retrieved December 28, 2009. ^ "Dave Murphy". retrosheet.org. Retrosheet, Inc. Retrieved December 28, 2009. ^ "Frank Morrissey". retrosheet.org. Retrosheet, Inc. Retrieved December 28, 2009. ^ "Casey Patten". retrosheet.org. Retrosheet, Inc. Retrieved December 28, 2009. ^ "George Barclay". retrosheet.org. Retrosheet, Inc. Retrieved December 28, 2009. ^ "Fred Jacklitsch". retrosheet.org. Retrosheet, Inc. Retrieved December 28, 2009. ^ "Charlie Jones". retrosheet.org. Retrosheet, Inc. Retrieved December 28, 2009. ^ "Offa Neal". retrosheet.org. Retrosheet, Inc. Retrieved December 29, 2009. ^ "Barney Wolfe". retrosheet.org. Retrosheet, Inc. Retrieved December 29, 2009. ^ "George Prentiss". retrosheet.org. Retrosheet, Inc. Retrieved December 29, 2009. ^ "Gene McCann". retrosheet.org. Retrosheet, Inc. Retrieved December 29, 2009. ^ "Charlie Dexter". retrosheet.org. Retrosheet, Inc. Retrieved December 29, 2009. ^ "John Hinton". retrosheet.org. Retrosheet, Inc. Retrieved December 29, 2009. ^ "Billy Gilbert". retrosheet.org. Retrosheet, Inc. Retrieved December 29, 2009. ^ "Bill Hanlon". retrosheet.org. Retrosheet, Inc. Retrieved December 29, 2009. ^ "Patsy Flaherty". retrosheet.org. Retrosheet, Inc. Retrieved December 29, 2009. ^ "Jim Buchanan". retrosheet.org. Retrosheet, Inc. Retrieved December 29, 2009. ^ "Ralph Frary". retrosheet.org. Retrosheet, Inc. Retrieved December 29, 2009. ^ "Happy Iott". retrosheet.org. Retrosheet, Inc. Retrieved December 29, 2009. ^ "John Puhl". retrosheet.org. Retrosheet, Inc. Retrieved December 29, 2009. ^ "Ginger Beaumont". retrosheet.org. Retrosheet, Inc. Retrieved December 29, 2009. ^ "Harry Mathews". retrosheet.org. Retrosheet, Inc. Retrieved December 29, 2009. ^ "St. Louis Historic Preservation: Breadon, Sam". stlcin.missouri.org. Retrieved December 29, 2009. ^ "Moose Baxter". retrosheet.org. Retrosheet, Inc. Retrieved December 29, 2009. ^ "Emmet Heidrick". retrosheet.org. Retrosheet, Inc. Retrieved December 29, 2009. ^ "Kid Nance". retrosheet.org. Retrosheet, Inc. Retrieved December 29, 2009. ^ "Pat Carney". retrosheet.org. Retrosheet, Inc. Retrieved December 29, 2009. ^ "Lou Nordyke". retrosheet.org. Retrosheet, Inc. Retrieved December 29, 2009. ^ "Danny Murphy". retrosheet.org. Retrosheet, Inc. Retrieved December 29, 2009. ^ "Gus Dorner". retrosheet.org. Retrosheet, Inc. Retrieved December 29, 2009. ^ "John Brown". retrosheet.org. Retrosheet, Inc. Retrieved December 29, 2009. ^ "Frank Quinn". retrosheet.org. Retrosheet, Inc. Retrieved December 29, 2009. ^ "Doc Hazelton". retrosheet.org. Retrosheet, Inc. Retrieved December 29, 2009. ^ "Elmer Stricklett". retrosheet.org. Retrosheet, Inc. Retrieved December 29, 2009. ^ "Jimmy Wiggs". retrosheet.org. Retrosheet, Inc. Retrieved December 29, 2009. ^ "Jerry Donovan". retrosheet.org. Retrosheet, Inc. Retrieved December 29, 2009. ^ "Dusty Miller". retrosheet.org. Retrosheet, Inc. Retrieved December 29, 2009. ^ "George Stone". retrosheet.org. Retrosheet, Inc. Retrieved December 29, 2009. ^ "Pete LePine". retrosheet.org. Retrosheet, Inc. Retrieved December 29, 2009. ^ "Frank Chance". retrosheet.org. Retrosheet, Inc. Retrieved December 29, 2009. ^ "Nick Altrock". retrosheet.org. Retrosheet, Inc. Retrieved December 29, 2009. ^ "Otto Krueger". retrosheet.org. Retrosheet, Inc. Retrieved December 29, 2009. ^ "Steve Cusack". retrosheet.org. Retrosheet, Inc. Retrieved May 21, 2015. ^ "Frank Bates". retrosheet.org. Retrosheet, Inc. Retrieved December 29, 2009. ^ "Red Long". retrosheet.org. Retrosheet, Inc. Retrieved December 29, 2009. ^ "Bill Donovan". retrosheet.org. Retrosheet, Inc. Retrieved December 29, 2009. ^ "Rube Waddell". retrosheet.org. Retrosheet, Inc. Retrieved December 29, 2009. ^ "Percy Coleman". retrosheet.org. Retrosheet, Inc. Retrieved December 29, 2009. ^ "Mordecai Brown". retrosheet.org. Retrosheet, Inc. Retrieved December 29, 2009. ^ "Patsy Dougherty". retrosheet.org. Retrosheet, Inc. Retrieved December 29, 2009. ^ "Ed Fisher". retrosheet.org. Retrosheet, Inc. Retrieved December 29, 2009. ^ "Phil Geier". retrosheet.org. Retrosheet, Inc. Retrieved December 29, 2009. ^ "Ike Rockenfield". retrosheet.org. Retrosheet, Inc. Retrieved December 29, 2009. ^ "Dave Altizer". retrosheet.org. Retrosheet, Inc. Retrieved December 29, 2009. ^ "Danny Green". retrosheet.org. Retrosheet, Inc. Retrieved December 29, 2009. ^ "Danny Shay". retrosheet.org. Retrosheet, Inc. Retrieved December 29, 2009. ^ "Judge McCredie". retrosheet.org. Retrosheet, Inc. Retrieved December 29, 2009. ^ "Ed Killian". retrosheet.org. Retrosheet, Inc. Retrieved December 29, 2009. ^ "Solly Salisbury". retrosheet.org. Retrosheet, Inc. Retrieved December 29, 2009. ^ "Harry Howell". retrosheet.org. Retrosheet, Inc. Retrieved December 29, 2009. ^ "Claude Elliott". retrosheet.org. Retrosheet, Inc. Retrieved December 29, 2009. ^ "Harvey Bailey". retrosheet.org. Retrosheet, Inc. Retrieved December 29, 2009. ^ "Lou Castro". retrosheet.org. Retrosheet, Inc. Retrieved December 29, 2009. ^ "Lee Fohl". retrosheet.org. Retrosheet, Inc. Retrieved December 29, 2009. ^ "Roscoe Miller". retrosheet.org. Retrosheet, Inc. Retrieved December 29, 2009. ^ "John Farrell". retrosheet.org. Retrosheet, Inc. Retrieved December 29, 2009. ^ "Henry Krug". retrosheet.org. Retrosheet, Inc. Retrieved December 29, 2009. ^ "Joe Rickert". retrosheet.org. Retrosheet, Inc. Retrieved December 29, 2009. ^ "Rube Kisinger". retrosheet.org. Retrosheet, Inc. Retrieved December 29, 2009. ^ "Fred Crolius". retrosheet.org. Retrosheet, Inc. Retrieved December 29, 2009. ^ "Sammy Strang". retrosheet.org. Retrosheet, Inc. Retrieved December 29, 2009. ^ "Roy Patterson". retrosheet.org. Retrosheet, Inc. Retrieved December 29, 2009. ^ "Jimmy Williams". retrosheet.org. Retrosheet, Inc. Retrieved December 29, 2009. ^ "Jim Jones". retrosheet.org. Retrosheet, Inc. Retrieved December 29, 2009. ^ "Charlie Carr". retrosheet.org. Retrosheet, Inc. Retrieved December 29, 2009. ^ "Sam Woodruff". retrosheet.org. Retrosheet, Inc. Retrieved December 29, 2009. ^ "Tom Miller". retrosheet.org. Retrosheet, Inc. Retrieved December 28, 2009. ^ "Too Young To Die". thedeadballera.com. TheDeadBallEra. Retrieved January 26, 2011. ^ "Bub McAtee". retrosheet.org. Retrosheet, Inc. Retrieved December 28, 2009. ^ "The Obit For Bub McAtee". The Chicago Daily Tribune. October 29, 1876. p. 6. Retrieved December 29, 2009 – via thedeadballera.com. Wikimedia Commons has media related to 1876 in baseball.